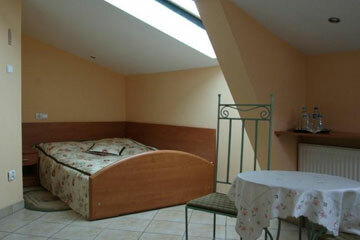 The hotel is located in a stylish, 19 th century burgher's house in the center of town. 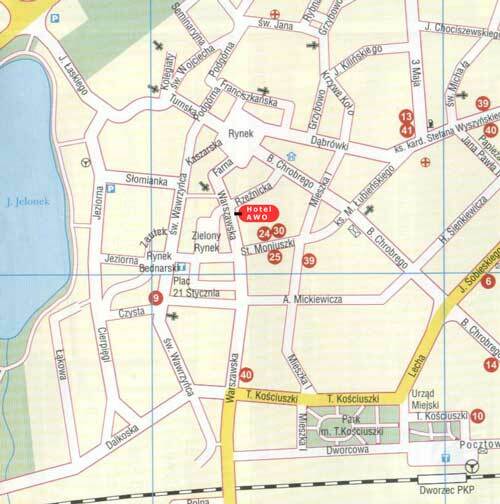 In the nearest area there are : main commercial gallery (50 m), parking (70 m), famous Cathedra and Old Market. Our hotel offers 80 sleeping places in one, two, three, and four persons room. 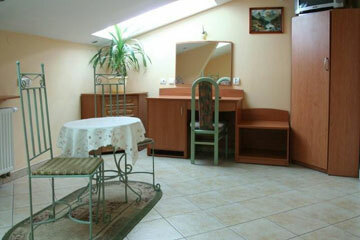 All the rooms are equipped with bathroom, TV - sat , phone and access to internet. Guests during their stay have an opportunity to use fax and free internet. 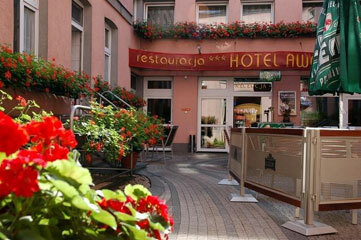 The hotel Awo is situated in the city center og Gniezno, 1 km away from the main railway and bus station. 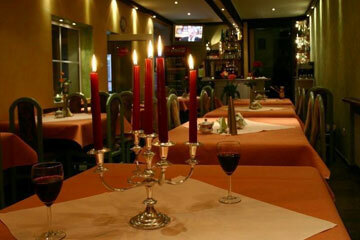 The nearest airport in Poznan is about 50 km away from the hotel.